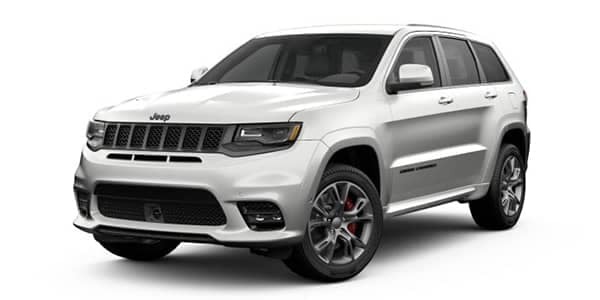 The all-new 2019 Jeep Grand Cherokee gives Portage Jeep fans the ultimate shopping experience with twelve trims levels and endless performance features and premium niceties. Explore the offerings of the 2019 Grand Cherokee trims below with Connors Chrysler Dodge Jeep Ram. 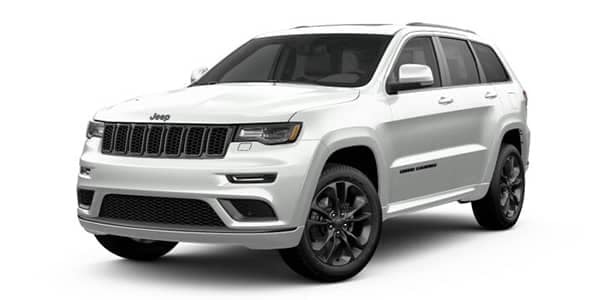 – comes with Keyless Enter ‘n Go™, Apple CarPlay® & Android Auto™, ParkSense® Rear Park-Assist with Stpo, 7.0-inch LCD Instrument Cluster with Tachometer, and Uconnect® 4 with 7.0-inch touchscreen display. – equipped with tow hooks, heated front seats, Remote-Start System, 20-inch Gloss Black painted Aluminum Wheels, and Gloss Black Exterior Accents. – includes a Power Liftgate, heated leather-wrapped steering wheel, Navigation with 3D graphics, and Uconnect® 4C NAV w/8.4-inch touchscreen. – packaged with Quadra-Trac II® 4×4 System w/Selec-Terrain® Traction Management System (4×4 models only), heated Capri leather-trimmed driver and front passenger seats, heated multifunctional power exterior chrome mirrors. – comes with Granite Crystal Exterior Accents, modified SRT® hood, black interior w/Liquid Titanium finishes and Heritage seats, 20-inch Low Gloss Granite Crystal wheels. 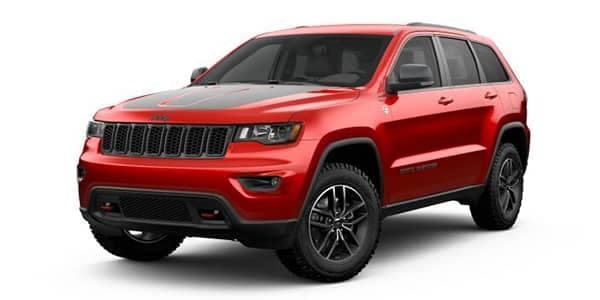 – includes skid plates, red tow hooks and Trailhawk® hood decal, 18-inch All-Terrain tires w/distinctive wheels, nine-speaker Alpine® Audio System w/Active Noise Cancellation, leather-trimmed seats with Suede inserts and red accent stitching, Quadra-Lift® Air Suspension System, and Quadra-Drive® II 4×4 System w/Rear Electronic Limited Slip Differential. 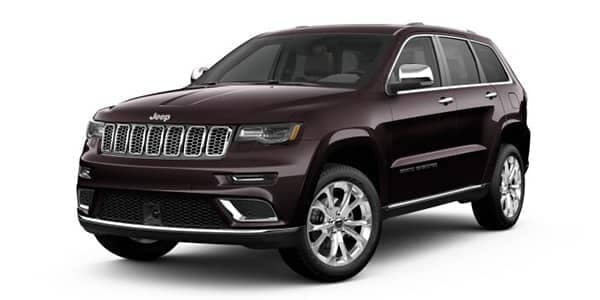 – packaged with Bi-Xenon high-intensity discharge headlamps w/Signature LED daytime running lamps, CommandView® Dual-Pane panoramic sunroof, rain-sensing windshield wipers, and Nappa leather-trimmed interior w/real wood and leather-wrapped heated steering wheel. – comes with Jeep® Active Safety Group, trailer tow group, black Nappa perforated leather-trimmed seats, and low Gloss Granite Crystal badging, grille Bezels, step pad, and taillamps. – equipped with interior metal package, illuminated sill plates and premium headliner, heated and ventilated first row leather-trimmed seats, and a Harman Kardon® High-Performance Audio System w/19-speakers with Active Noise Cancellation. – features a 6.4L V8 engine w/up to 475 hp and 570 lb-ft of torque, Bilstein® Active Damping Suspension, Brembo High-Performance Brakes and Launch Control, and a race-inspired interior w/flat-bottom steering wheel and Carbon Fiber accents. – includes black Chrome quad exhaust, distinctive track pages w/screen shot capability, exclusive yellow Brembo High-Performance Brakes and Launch Control, and a supercharged 6.2L V8 engine delivering 707 hp and 645 lb-ft of torque. Find your favorite Grand Cherokee model available today at Connors Chrysler Dodge Jeep Ram! We even have new vehicle specials to get you a great deal on the latest Chrysler, Dodge, Jeep, Ram vehicles. Visit us today in Chesterton to learn more! Step inside the 2019 Jeep Cherokee interior to experience the perfect blend of form and functionality. The Cherokee has gained adoring fans for its rugged refinement, and the 2019 model is no exception. From cutting-edge technology features to ample cargo and passenger space, the Jeep Cherokee has it all for drivers in the Valparaiso area….